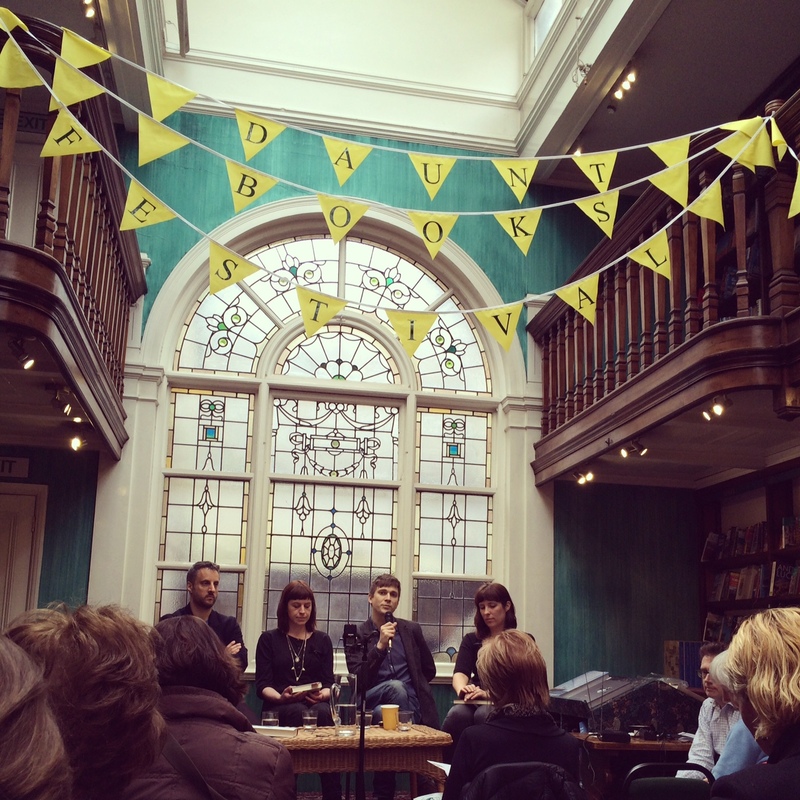 The end of March saw the inaugural Daunt Books Festival in Marylebone which featured some exciting events and authors. I don’t know if you’ve ever been to Daunt Books, but the flagship store on Marylebone High Street is a wondrous cavern of delights filled with natural light and an incredible selection of books divided by country. I’m off to Spain and Portugal in June and had a good look around for books to read and came away with a couple – Journey to Portugal by José Saramago and Pereira Maintains by Antonio Tabucchi. When I tweeted about visiting Daunt Books and getting a copy of Comyns’ Sisters By a River, they contacted me to say there was a Virago Modern Classics event where four panelists will be discussing Comyns, amongst others, and would I like a ticket. It’s the first time I’ve seen an event featuring Comyns and jumped at the chance as Comyns’ Who Was Changed and Who Was Dead is one of my favourite books. I got myself another ticket to see four up and coming authors too and took a half day off work. The first event of the morning, Celebrating Virago Modern Classics, featured Susie Boyt, Maggie O’Farrell, Deborah Levy and was chaired by Virago publisher, Lennie Goodings. Virago was set up almost forty years ago to champion the importance of women’s literature and experiences, from forgotten classics to new writing. Levy spoke of her love of Muriel Spark’s spare and precise prose to Angela Carter’s luscious, subversive novels. O’Farrell spoke of how it was impossible to see Comyns’ literary heritage as her novels are so unique. She used to buy any Virago Modern Classic she came across, no questions asked, because of their quality and feminist slant, especially Molly Keane’s Good Behaviour about the Anglo-Irish in the dying days of the Empire and its keen calibration of society and family and Rosamund Lehman’s The Weather in the Streets, sequel to Invitation to the Waltz. And finally Boyt discussed Elizabeth Taylor’s Complete Short Stories, a novelist whom she describes as a writer’s writer who can achieve in one sentence, everything that needs to be said, and one with startlingly original ideas and who doesn’t get nearly enough attention. The session was packed and it was incredible to see how popular the Virago Modern Classics are even today. The second session, Bright Young Novelists, featured Adam Foulds, Rebecca Hunt and Evie Wyld and was chaired by literary critic Edmund Gordon. I had heard Hunt read a few weeks earlier from her new novel but it was interesting to see the discussion with her fellow writers. All three novelists have published their second and third novels: Hunt has just published Everland, Foulds, In the Wolf’s Mouth and Wyld, All the Birds, Singing. Asked why none of them wrote zeitgeisty books, they agreed that they needed to be interested in what they were tackling as it needed to sustain them for a very long period and writing something too close to home, in time and place, would place a greater pressure to get things right. Also on the process of writing their second and third novels, Hunt said she felt as though she was learning all over again, Foulds that each book is different and difficult in new ways and Wyld that with each novel, you think you are going to write what you really want but it doesn’t quite happen and that is what keeps you going. What an interesting discussion which provided an insight into the working life of young writers. Both sessions came with perks, the first was a cup of fresh juice from The Natural Kitchen and the second was a delicious sausage roll from Ginger Pig. 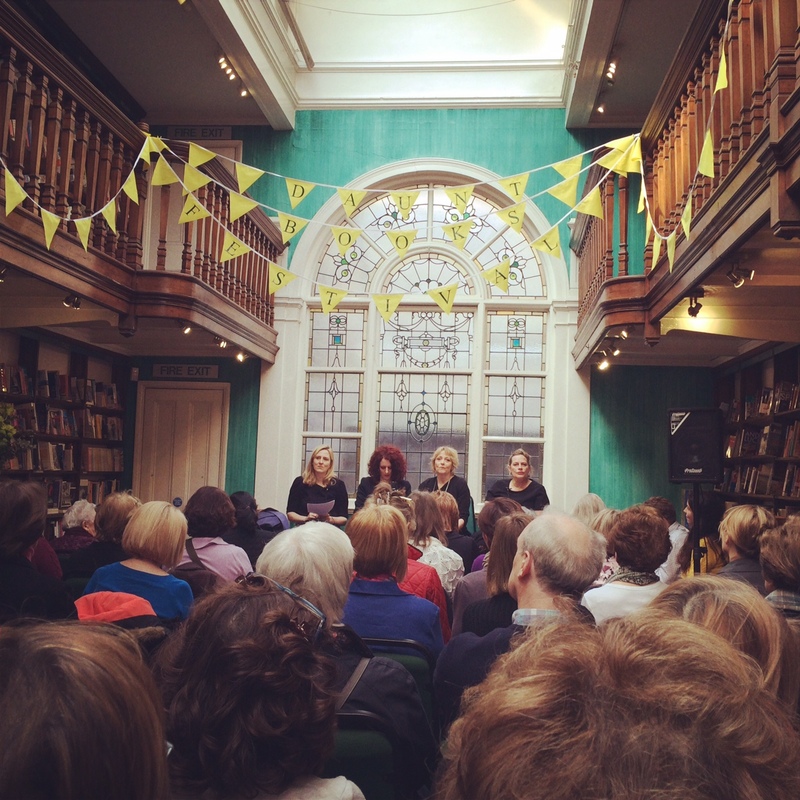 I’d like to thank Daunt Books and Emily who kindly invited me to Celebrating Virago Modern Classics and for organising such a lovely, vibrant festival. I’m already looking forward to the next one! 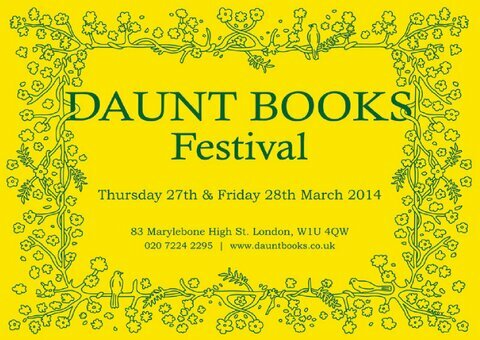 I must visit Daunt Books! Those events sounded brilliant. Wonderful shop – I love the way they’ve arranged it. Bookshops and festivals work well, I think. It will be interesting to see what Foyles come up with for their inaugural festival. « The Smoke is Rising by Mahesh Rao in Shiny New Books!